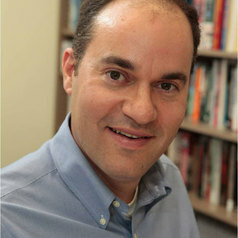 Matthew E. Kahn is a Professor of Economics at USC. He is a research associate at the National Bureau of Economic Research and a research fellow at IZA. He also serves as a Non-Resident Scholar at the NYU Stern School of Business at the Urbanization Project and as a Non-Resident Scholar at the University of Pennsylvania Institute for Urban Research. He has taught at Columbia, the Fletcher School at Tufts University and UCLA. He has served as a Visiting Professor at Harvard and Stanford and as the Low Tuck Kwong Distinguished Visiting Professor at the National University of Singapore. He holds a Ph.D. in Economics from the University of Chicago. He is the author of Green Cities: Urban Growth and the Environment (Brookings Institution Press 2006) and the co-author (joint with Dora L. Costa) of Heroes and Cowards: The Social Face of War (Princeton University Press 2009). In September 2010, Basic Books published his book titled Climatopolis . In January 2016, he published an updated e-book titled: Fundamentals of Environmental and Urban Economics. In May 2016, Princeton University Press published his book Blue Skies over Beijing: Economic Growth and the Environment in China (joint with Siqi Zheng). His research focuses on environmental and urban economics. He is married to Dora L. Costa.